Pollution in China has become one of it's greatest problems. China is the second largest producer of green house gases in the world. Pollution in China directly as well as indirectly impacts and puts at grave risk and peril the rest of the world. The future of humanity depends on how China controls its pollution going forward. Is humanity doomed to a slow painful poisonous death because of pollution being created by China? Below are some shocking images on pollution in China which will horrify you. China might have progressed economically, but at what cost, one may rightly ask. 1. 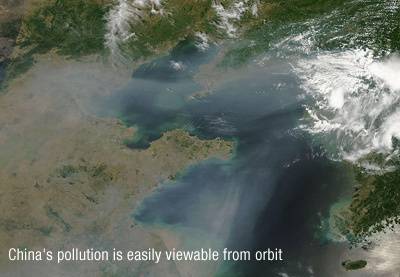 Pollution in China is visible from space. More than 30% of China's city population are exposed to staggeringly high levels of pollution. 2. 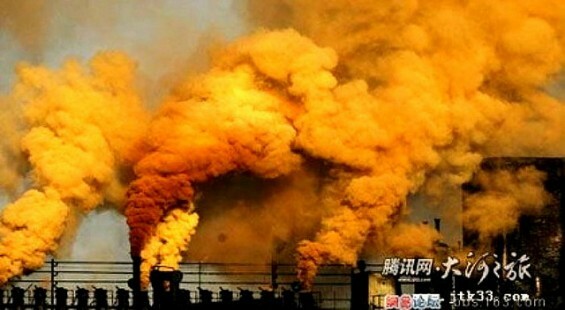 Manufacturing Industry contributes to pollution in China. Yellow and orange poisonous fumes like these are common in China. More than 3/4th of Chinese cities did not pass air quality standards. This despite China's so called war on pollution. 3. Air pollution in China makes people wear masks. Visibility shrinks to less than a block during smog season accompanied by a 40x to 50x increase in small-particle pollutants. 5. 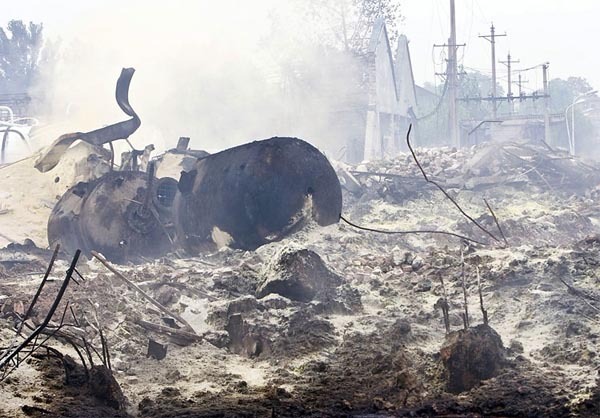 In China, industrial dumping of toxic and hazardous material creates wastelands. 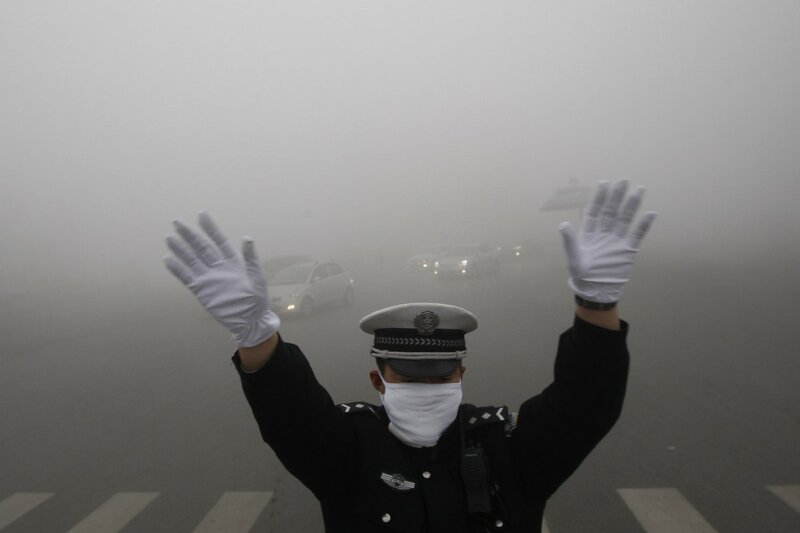 China has practically no enforcement of environmental regulations. Industrial and electronic waste is dumped into rivers converting them to marshy toxic wastelands. Incidentally, it has been reported that raw human sewage sludge is sprayed on crops. 6. River Pollution in China cause fish to die. This picture was taken in central China's Hubei province in 2007. 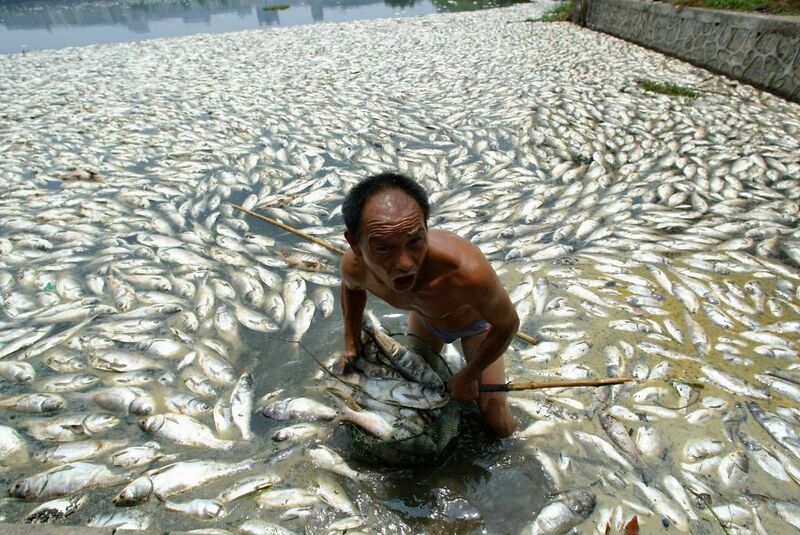 More than 50,000 kilograms of fish died due to polluted lake water. Factories dump mercury in rivers. Many rivers have such staggeringly high toxicity that they actually ignite and catch fire because of the chemicals dumped in them. 7. A typical street in a polluted China town looks like this. 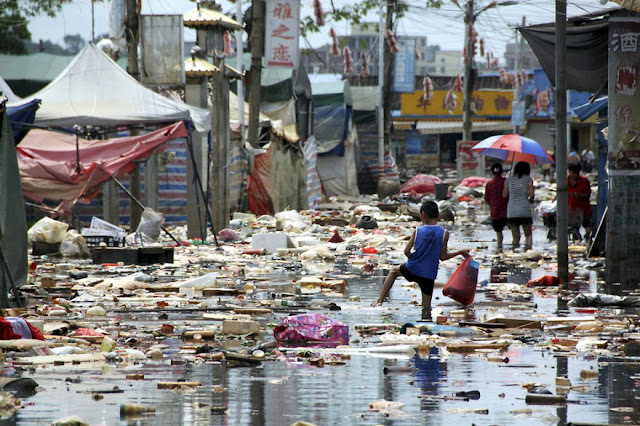 Images like the above (taken in Shantou, Guangdong province, in 2013) of people wading through polluted streets is common in China. Pollution in China is a menace for China and humanity in general. 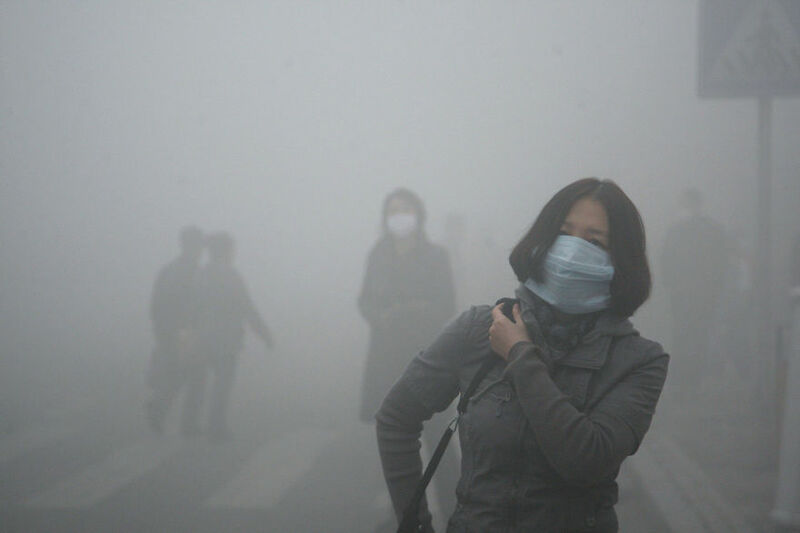 As per a report by Jonathan Watts, over 400,000 premature deaths take place every year in China because of unbelievably high pollution in China. A recent study in Nature concluded that air pollution could have been the reason behind China's most horrific floods in 50 years. It is a menace that must be tackled at the earliest.